Recent amendments to conveyancing legislation allow for electronic land transactions.This requires end goal planning and verification of the identity of participants. Email or call Adrian if you have queries, as this is now a new environment for completion of land transactions and, without proper planning, will have potential pitfalls. 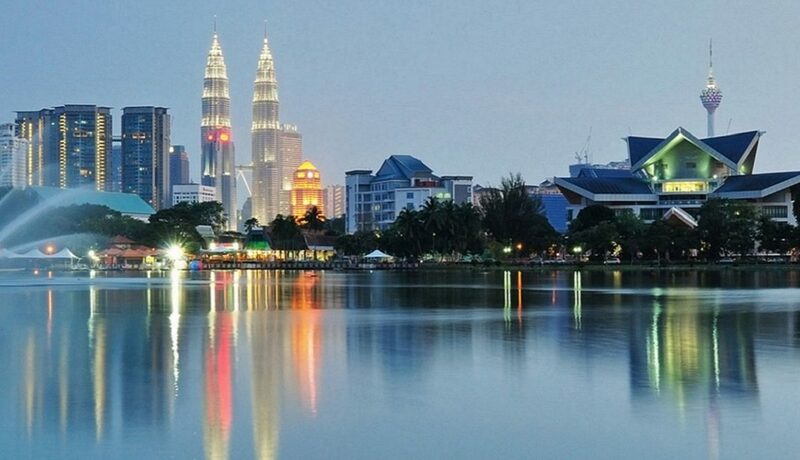 Adrian will be attending the launch of the Malaysia Australia Business Council (MABC) Johor Chapter and available for meetings in Singapore from 5-7 November 2018 and in Kuala Lumpur from 9-12 November 2018. Hello and welcome to Adrian Holmes Law. 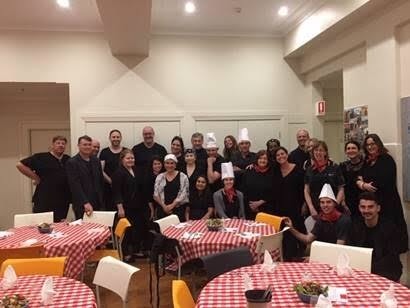 Adrian Holmes Law provides a “go to man on the ground” to deliver and manage the legal services for your business in Australia. 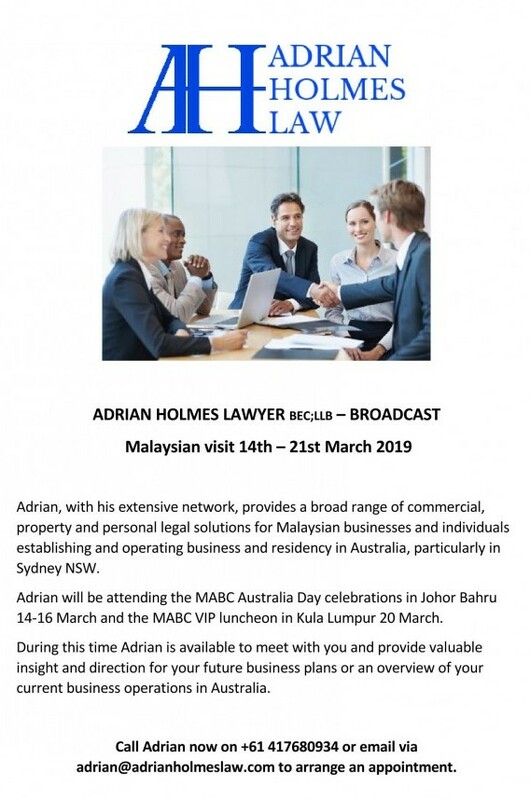 Adrian has a number of contacts in Malaysia to facilitate the delivery of legal services and is a member of the Malaysia Australia Business Council.